Knowing what to pack for a Disney Cruise can make or break your entire Disney Cruise experience. This list will cover all of the items you may need for your family to enjoy your special Disney cruise! I am a Disney Partner and love to share my experience with you. If by chance you do forget something on your cruise I was incredibly impressed with the staff and shopping options for anything you may need online. Here are a few tricks that you will want to know to keep your day running as smooth as possible! Expert tip: Pack swimsuits, sunblock, sunglasses, coverups, medications, and anything else you may need for a good portion of your first day! It is possible that you may not see your bag until the late afternoon so it is a good idea to have all the supplies you may need to enjoy the day poolside or taking a nap in your room! 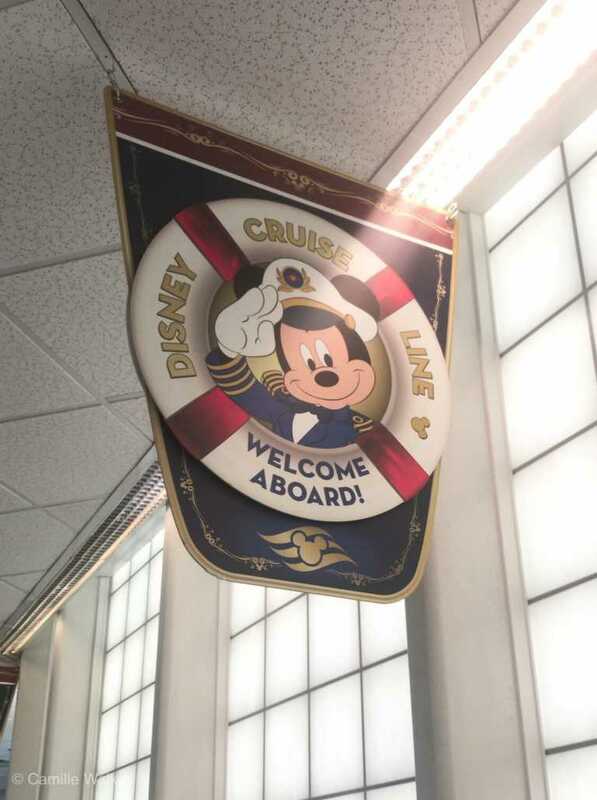 Checking In: What you’ll need for your Disney Cruise Check in. We like to create a special folder that holds all of our documentation in one place. Boarding tickets, hotel/transportation information, cruise documentation, birth certificates, medical insurance, renters insurance, and itinerary notes/documentation. This is an idea of one we use. Birth Certificates/Passports/Driver’s License– proper identification is required for all passengers in your party. Make sure to check expiration dates. If you’re beginning your cruise and ending your cruise in the US you are able to use a birth certificate/drivers license. If you are beginning or ending outside of the US, you will need to make sure to have a password. Cruise Documentation– Early online registration is the best way to get in line sooner to get on the ship! Make sure to print and sign the documentation so that you won’t be held up longer than needed. Special Disney Cruise Line luggage tags will be sent to you in the mail. Make sure to have these tags ready and on your bags once you get to the ship and you’re ready to board the ship. Do not put these tags on your luggage until you get to the ship, you don’t want it to be confused with your tags if you are flying beforehand. Bucket list/excursion information – We like to come up with ideas of what we would like to do while on the ship. You will receive a daily schedule of what is available on the cruise ship and there is A LOT. Excursions are available too, so we like to read about options available and try to figure out what we want to do ahead of time. Money: You don’t have to worry much about using cash/credit cards while on the ship! All tips will be added in a lump sum to your servers/staff at the end of your stay. You may want to have cash/credit cards available for shopping on ship or when you get off the ship for shopping or excursions. If you are going out and about having cash on hand for tips is also nice. Cell Phone/Charger/Portable Charger: Internet service is not available on the ship unless you pay an additional fee. But, if you download the Disney Cruise Navigator App you will be able to communicate with other members of your travel party through messaging to keep track of each other. I love to take lots of pictures and video so I like to carry along a portable charger to keep my battery strong! Laptops/E-Readers/iPads/Chargers: If you need to stay connected to the internet while you’re away you can buy a package for internet service. It is not cheap, so that gives you an extra excuse to be away at sea and on vacation if you can! Medications/Toiletries: Sunblock, chapstick with SPF, aloe vera, sea sickness medication (dramamine just came out with a version for children too), make-up, medications, nail clippers, tweezers, digestive aids, band-aids, children’s ibuprofen/acetometophin, medicine dropper/cup. Clip Magnets: Your entire room is entirely medal and you can use a magnet anywhere you like! I like to use magnets to hang up the itinerary, tickets, or other papers I don’t want to lose. Shoe Organizer: This is a popular item that people will tell you to bring to keep all the toiletries and items you need in a clear, easy organizer. ***Over the door organizers are no longer allowed, but you can bring one if it uses the closet bar. Make-up, toothbrush/toothpaste, sea bands, moisturizer, deodorant, hair brush, travel size styling products, feminine products, curling iron/straightener, small elastics. Pirate/Star Wars/Super hero clothes: depending on the cruise that you are attending you will most definitely have a chance to dress up on this very special night! Dress ups are NOT just for the kids so have fun with this! Ziplock bags can come in super handy when packing outfits for your kids. If you have packing cubes they work wonderfully as well. Last year I packed each outfit in a labeled ziplock bag so I knew exactly what the kids would be wearing each day. One thing that was especially nice was the ability to put some wet things away on the last day without getting all of our other belongings wet. T-shirts/shorts, depending on the length of your stay you can decide how many. For older kids they may need less because they are spending so much time in their swimsuits! For younger kids you may need more because they get messy! Dress up clothes for pirate night, Star Wars night, or hero night! Expert tip: Make sure to Download the Disney Navigator App this will help you stay in the know for ALL the fun happening on the ship, your dining times, and staying connected with your group. Goggles. My kids love to spend time on the ships in the pool and on the beach when we are in in Castaway Cay. The best times to catch slow times in the pool/tubing slides is early morning or late at night. Endless ice cream and Disney shows playing 24/7 make it an easy place to spend hours at a time! Fitness gear. Between the basketball courts, mini golf, gym, running track, and yoga center you may want to break a little friendly sweat while on board. Pajamas you want to be seen. A special “pajama party” with Goofy is a perfect reason to strut around in your sleeping clothes in the Kids Club! Bonus, you will even get a free souvenir pillowcase to bring home! Autograph book/pillowcase/picture: Want a special way to remember all the characters you meet? You can bring a special something for them all to sign and it is much easier to see them onboard the ship than at the park! Keep track of schedules and locations in your daily agenda. Fancy clothes: No dinners on Disney Cruises are ever dinners you MUST dress fancy to, but if you are wanting to get fancy you most definitely can. There are restaurants available for adults only and with the kids club available you can make it as fancy and as stress free as you want. Magnetic Dry Erase Board: Communicate messages with your group to stay in touch or write special messages to each other! Clothespins or suction hooks: The bathroom does get a little tight with a bunch of wet suits! Maximize your space by having extra ways to hang them. Fish Extenders: Fish extenders are like doing secret sister gifts while you are on the ship. This is definitely an “above and beyond” experience where you can sign up to gift exchange with other guests aboard the ship. Signing up is voluntary and you can find the groups by searching on facebook and the cruise ship you’ll be on. We did sign up the first year and it was a lot of fun, but it did take up quite a bit of our luggage space. (Keep this in mind because things can get tight quick.) I think it is a wonderful thing to experience at least once. Door Decorations: Your door is completely magnetic, so you may want to bring some items to decorate your door with your names, Mickey ears, etc. These are available on Etsy, Amazon, or can even be handmade. It is a fun way to be able to identify your door in a hall full of doors! Reusable tumbler/Water Bottle: Disney offers free re-fills any time! You can have a re-usable cup to fill with soda, tea, coffee. You can also fill up your mug to take with you to the theater room! You can buy a tumbler ahead of time as a fun souvenir before you go on your trip. Glow Sticks: Stop at the dollar store before you get on the ship and get some glow in the dark glow sticks for pirate night! We loved using them and passing them out to friends around us as we waited for the fireworks to begin. Snacks/treats: If your kids are like mine there are certain treats that they think are better than anything else! While at the dollar store grab a few things to eat while waiting to board the ship, out playing on the beach, or watching a movie! Pins for trading: Pin trading is a thing even on the ship! You can even pin trade with any of the vendors/shops within the ship. A great way to save money on the pins ahead time is to grab them from Amazon, you can find some here. Alcoholic beverages: If you are interested, Disney allows you to bring your own drinks so you can enjoy them later on the ship or at Castaway Cay. Read all of the rules/restrictions here. Traveling with a baby is quite dreamy aboard a Disney Cruise! 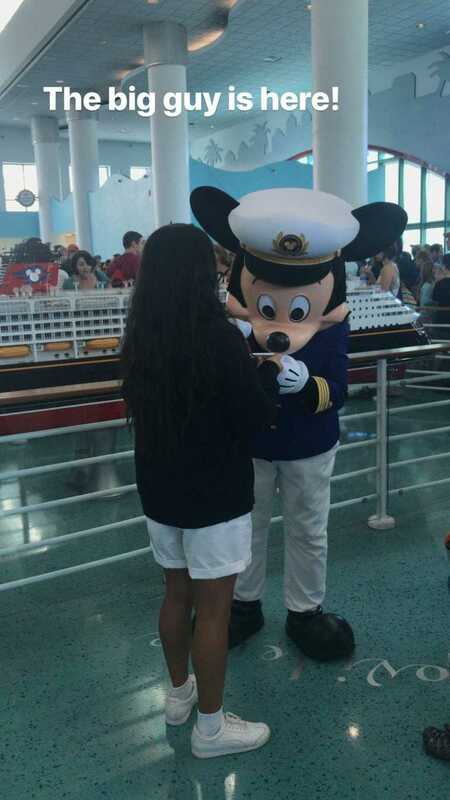 Just like everything else Disney the cruise is extremely accommodating for bringing little ones along. Travel booster seat/car seat, if you are traveling with a preschooler that needs a booster, the Mifold is so compact and perfect for travel. Here is a free printable for you so you don’t forget a thing!